This article is going to be useful for all the artists, designers and any lay person like you who has stumbled upon this article. Here you will find some of the most beautiful drawings listed from the total of multi-million drawings there are on the web. 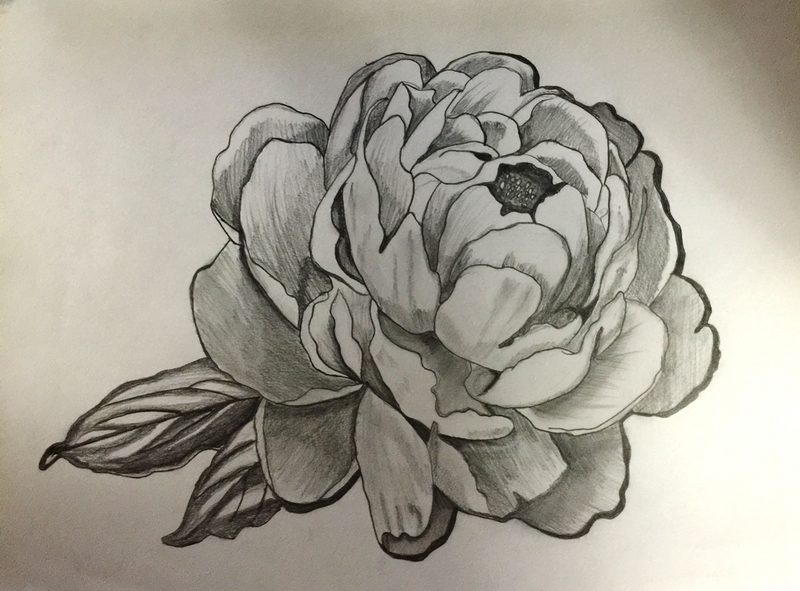 You can use these drawings for inspiration and art practice purposes to learn how to get the perfect Flower Drawings. And you can also use them as a design element for your graphic design projects. 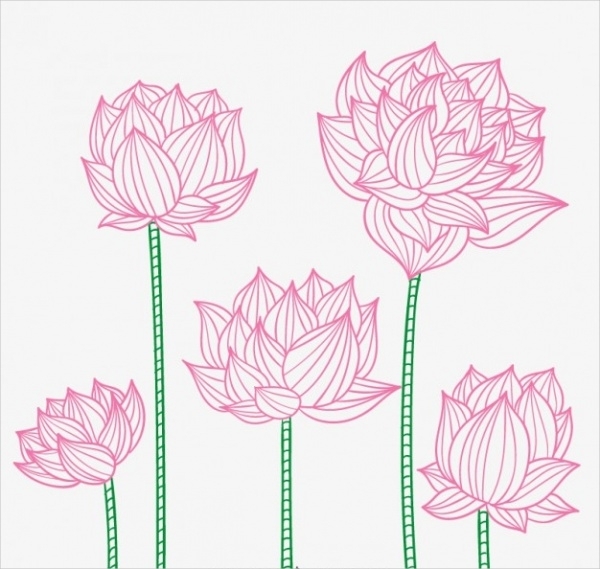 Here is a premium vector illustration set in high-resolution and print ready CMYK colors that you can use for your lotus flower drawings. The design contains 5 different drawings that you can isolate from the vector file. Here is an abstract flower drawing with the bug and the petals coming out in a hazy watercolor design. Click on the link below to know more about it and use it as a design reference. 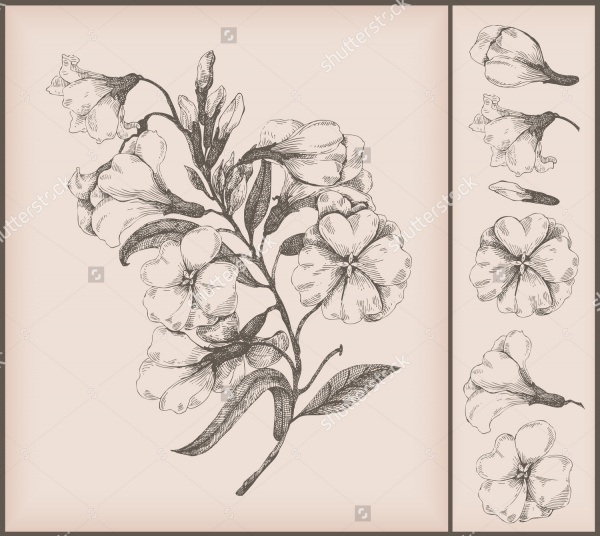 Here is a free stock vector illustration that contains the vintage floral pattern. 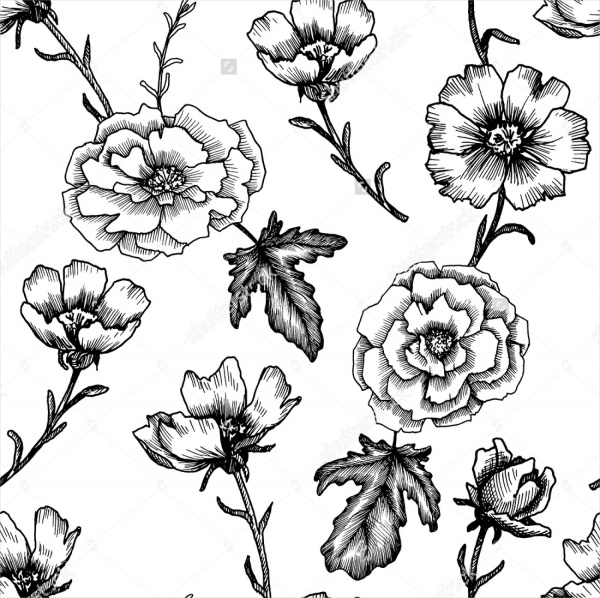 The seamless pattern contains flower designs in the Victorian style of artwork in black and white shades. Check it out here. 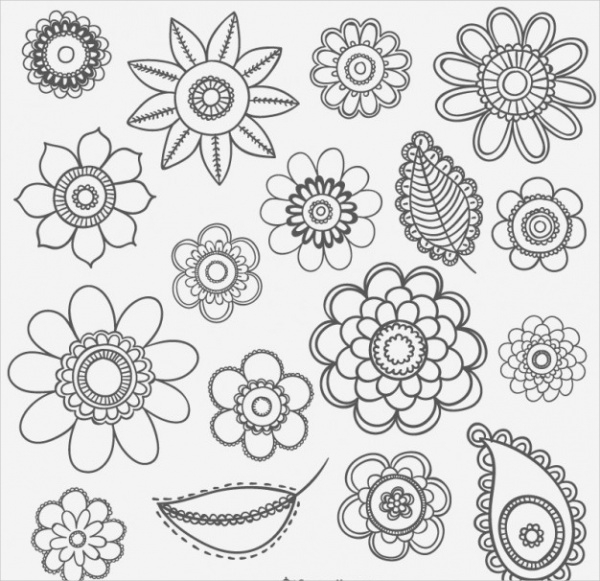 Here are digitally illustrated flower drawings set in black and white that you can download as a free vector illustration. These drawings will allow you to create amazing textures and backgrounds. Here is a Pencil Drawings of multiple flower buds along with their colored representation. The work of Russia based graphic designer and artist, Natalia Aleksandrova can be seen here. This too is an abstract design of overlapping strings that form the shape of the flower petals. 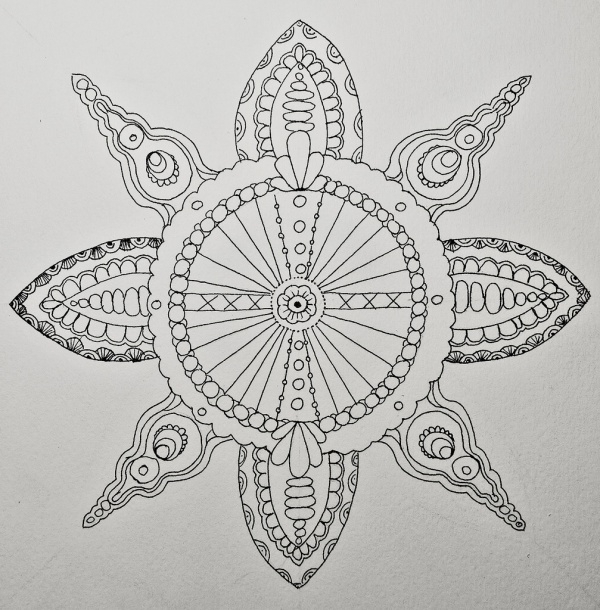 Michael Wheeler has shared these pen drawings for all us to use for design references. 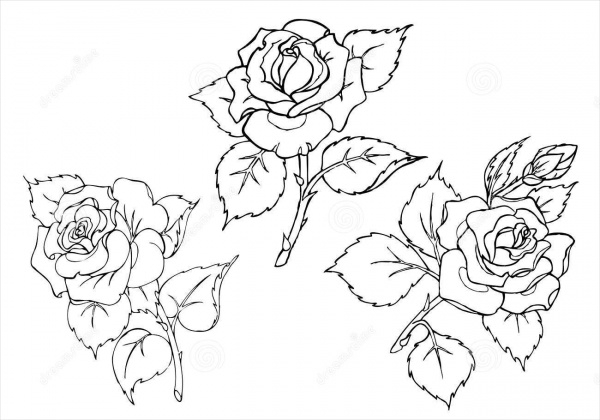 Here is a Rose Drawing along with the stem and a few leaves that you can download as an editable vector. The drawing is also available as a jpeg image set in multiple sizes. 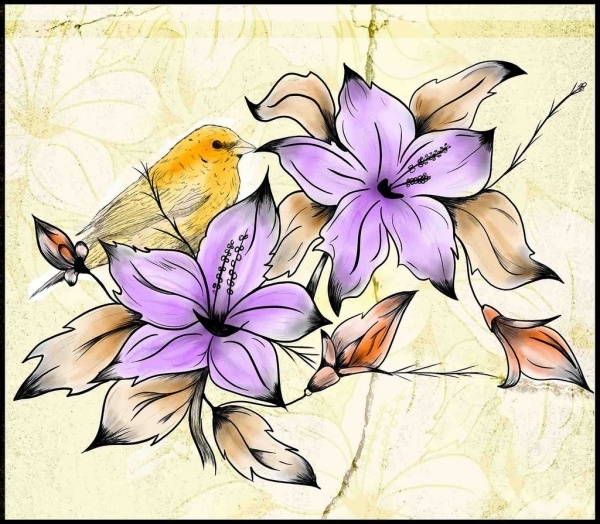 Check out this beautiful drawing of a realistic flower along with a bird sitting next to it. The colored drawing can be downloaded as an image from the given link. 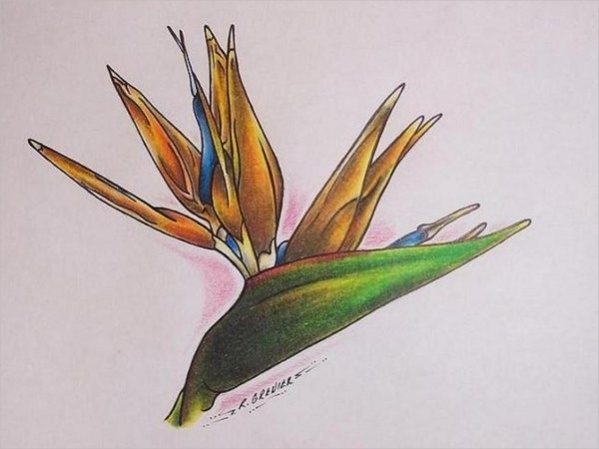 The next in the list is this tropical flower drawing. This design has been used as a tattoo by the artist and it tells you how easily you can use anything to convert a drawing into a tattoo. 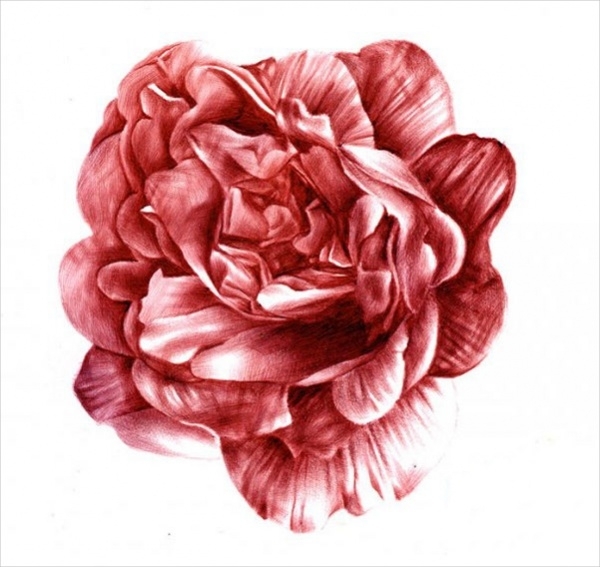 Carol Veiga is a USA based artist and in the link provided below you will find her one of the works that fit our theme of flower drawings. Check out these colorful illustrations here. This is a stock photo and vector illustration of multiple vintage styled flower drawings. You can use them as a design element for your botanical related projects and such. There are other similar drawings as well at the given link. Here is a flower drawing that has been made through geometrical elements and can pass off as a mandala drawing coloring page. Check out the link below to know more about it. 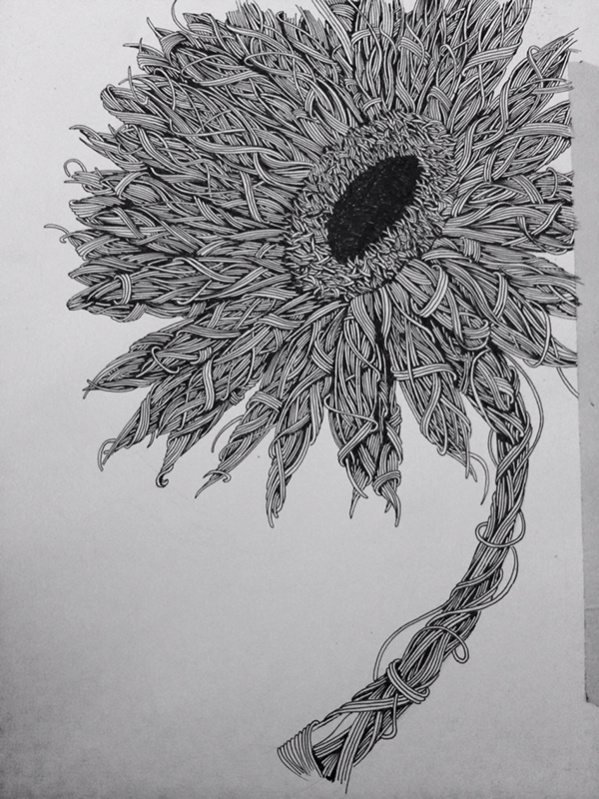 Here is a very basic collection of drawings that has been created through continuous lines. You can download this drawing as an image in multiple size options as per your design requirements. Ballpoint pen is capable of things that you can’t even imagine. For example, check out this work of Paul Alexander which will definitely blow your mind and make you want to start drawing again. 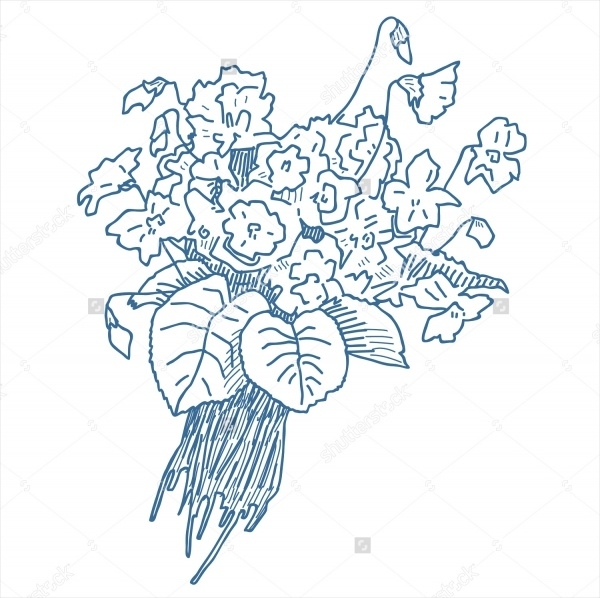 Create a bunch of flowers to give it a bouquet design as you can see in this simple drawing. You can download this drawing as a vector illustration for free and use it in your projects. The first step is download these drawings. Then decide what you want to do with them. The various things you can do is use them as a design element for your upcoming project, like wedding designs, or Christmas greetings, or other holiday season projects. Something else that you can do is use them as a reference and create your own digital artwork if you are more comfortable with the editing tools. Otherwise, pick up a paper and a pen and try to brush up your drawing skills by creating elegant drawings as these flower drawings. The choice is yours.You may also see 3D Pencil Drawings. 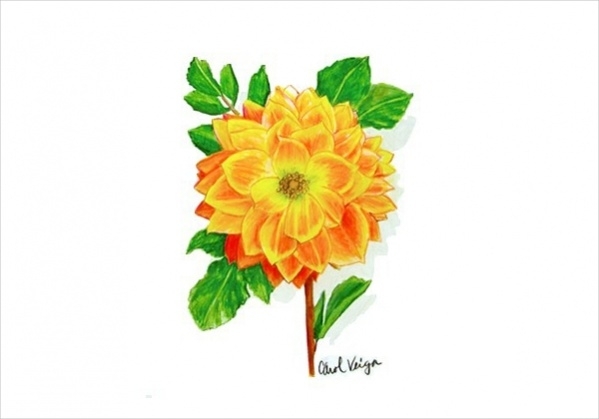 You can always add to them and create drawings of flowers and butterflies or drawings of flowers and birds. 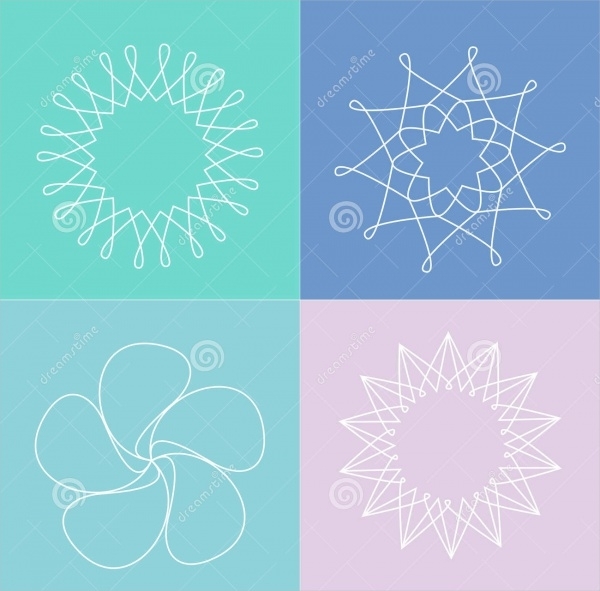 These flower drawing images and vectors are to be used for mostly free for both personal and commercial projects. Just make sure you are giving credits to the original artist for their work.